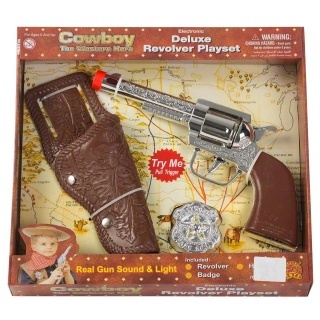 If your little boy is fascinated with the cowboy ensemble, this gun set is perfect for him. A cowboy style revolver comes included with a holster and badge for a complete design. 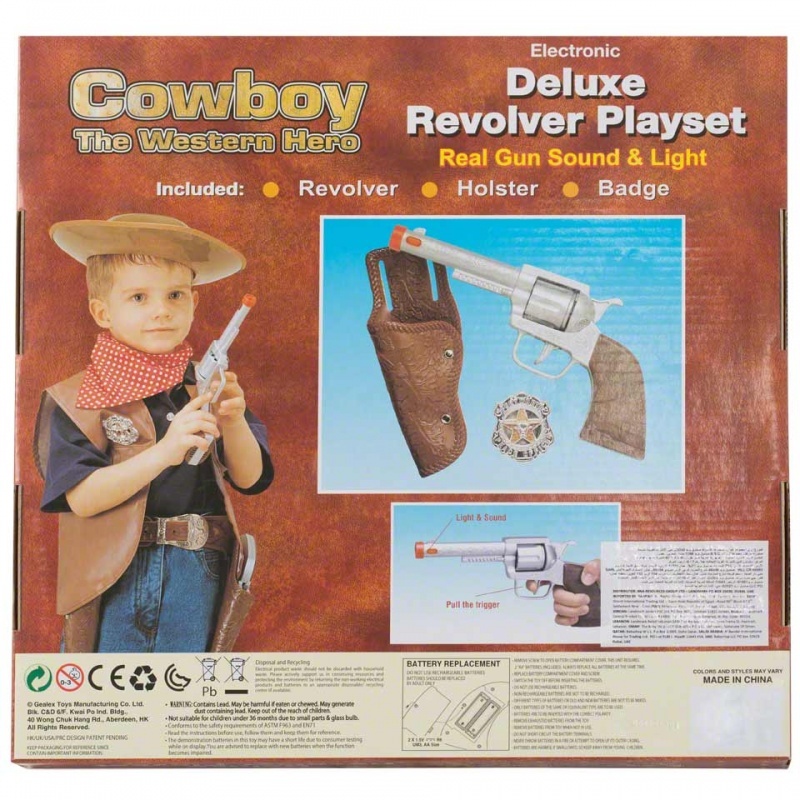 It also produces a natural gun sound with light effects to interest the kids.